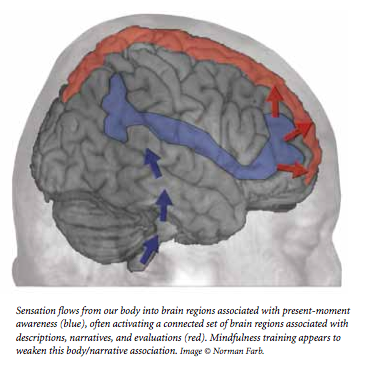 “This is your brain on Mindfulness” is a witty title for a very readable document recently published by Dr. Michael Baime. Dr. Michael Baime is a clinical associate professor at the University of Pennsylvania, and founded the Penn Program for Mindfulness in 1992. He writes about mindfulness, a increasingly studied and practiced technique of maintaining attention, based in the centuries old practice of meditation. In addition to supporting clarity of mind, a sense of peacefulness, and focus, mindfulness has been shown to help people with chronic pain, depression, and anxiety. 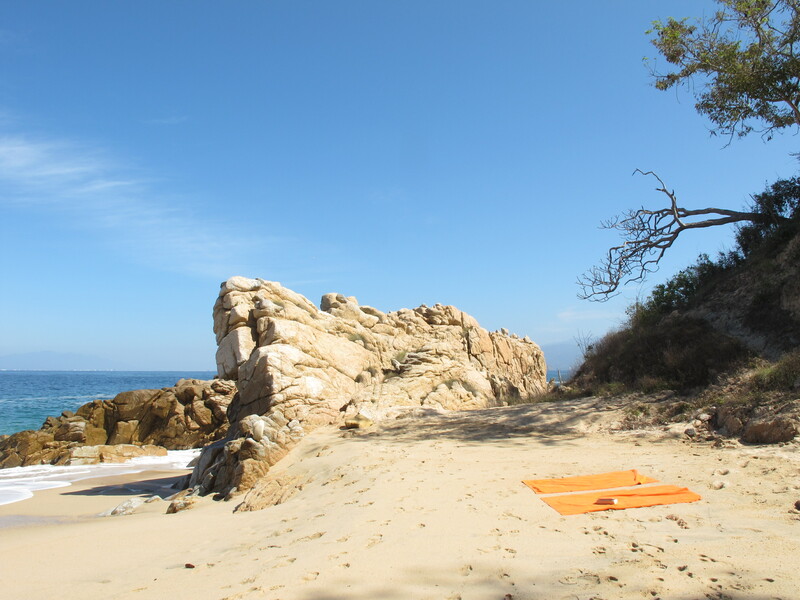 In the article, Dr. Baime describes how recently, research into mindfulness is expanding with significant support from the National Institutes of Health to explore the role of mindfulness and meditation in health and healing. Several neuroscientists have shown that there are changes to the pattern in which the brain is activated when people practice mindfulness. The changes seen in one subject are shown above, in a functional scan, that shows which areas are actively metabolizing glucose in the brain. 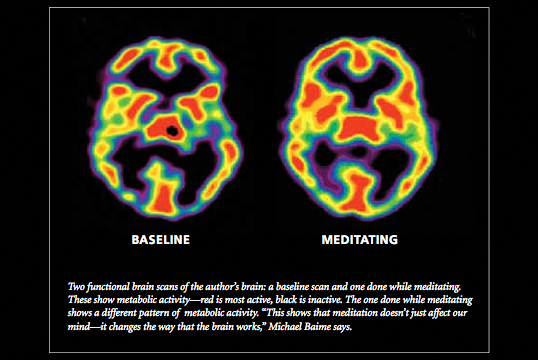 What can be seen, is more activity in the brain with meditation, versus without meditation. 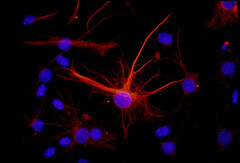 Some research has also shown changes to the gray matter, which is the area in the brain that incorporates the neurons. 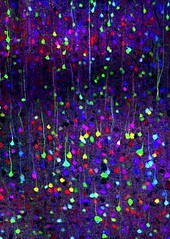 One study found an increased size in the hippocampus, an area linked to learning, memory, and the processing of emotion. 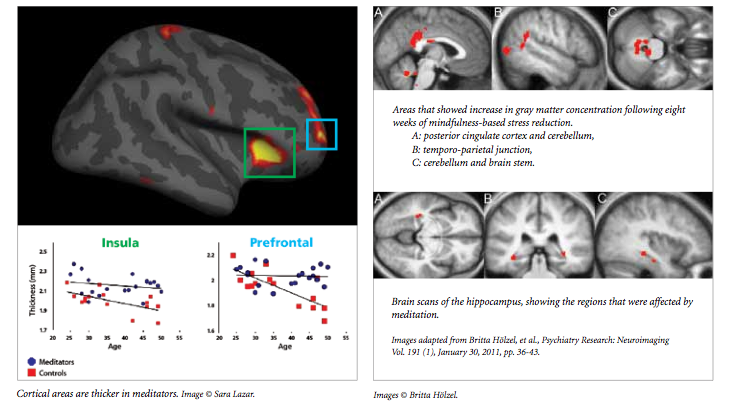 Neuroimaging studies have shown decreased size of the hippocampus in mental illness, especially in depression, thus the neuroimaging studies may show an actual physical effect of how mindfulness is effective for treatment of milder forms of depression. If you live in Vancouver and are interested in participating in an 8 week Mindfulness Workshop Series, please contact Connect Health, Centre for Integrated Healing, for the May and June workshops being offered on Wednesday evenings.